For those who like their comedy with hyacinths & biscuits – i.e. 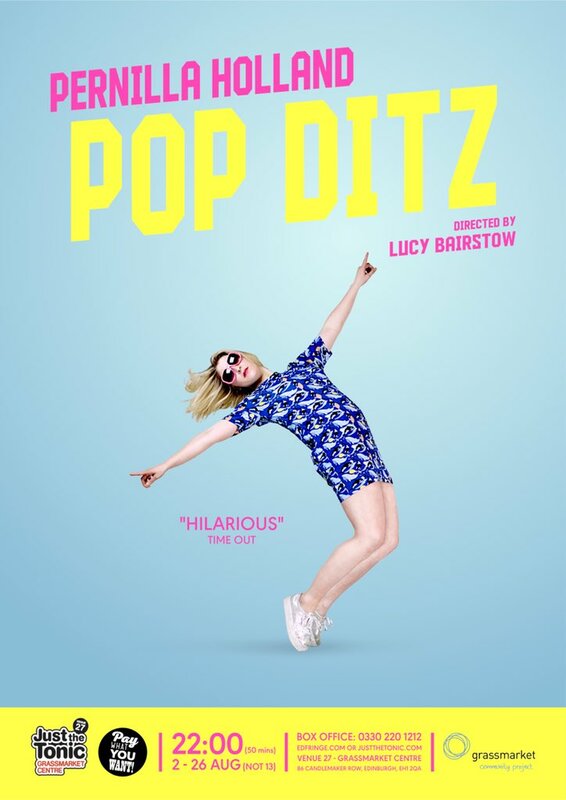 sweet & crunchy – Pop Ditz is the only choice. Directed by burgeoningly brilliant Lucy Bairstow (Theatre with Legs) & performed with chainless precision by Pernilla Holland, let us take a look at 21st century urbanity through the eyes of a young Norwegian lady, far from her one-reindeer village; the caged bird set free in ‘the land of Eng’ to observe, & then report her vulgar findings with a tremolo of energetic delivery. The show itself consists of a fun-sustaining sequence of ubersketches, played out between witty, not-that-well-sung songs. It was all very revelatory & original, as if some secret comedy pond had been stumbled across by the ladies one night, from which they are hooking slightly mutated, but extremely delicious fish. Continuing with the water theme, experiencing Pernilla’s flow of near-gibberish is akin to having a water-feature attached to one’s psyche, from which our smiles bubble up constantly. Pernilla’s own smile, by the way, is the widest one I’ve seen on any performer at the Fringe that I can recall. Imagine entering a thick-walled tavern beyond the Arctic Circle, where red-nosed, akvavit-addl’d Norwegians are making funnies around a hot fire, laughter looping through the smoke… that’s experiencing Pop Ditz. There’s some absoultely mental moments; using her shoe for a chat with an audience member just one of them, while the Scandinoir sequence made for uncanny comedy. ‘No words are better than silence,’ repeats Pernilla, ‘except the singing goat,’ & as my eyes grew wider & wider throughout my 50 minutes with this classic 21st century clown, I could only nod my head in complete & awestruck agreement.